Dmitry Anatolyevich Medvedev (born 14 September 1965) is a Russian politician who is the current Prime Minister. From 2008 to 2012, Medvedev served as the third President of Russia. The prime minister did not rule out that the real reason for the case is the conflict between the former minister and creditors. An investigation into how the family of the President of Azerbaijan settled in the Moscow region. The plant, controlled by VEB.RF, required new financing. Co-owner of UMMC and Transmashholding Andrei Bokarev will be a private investor in the project to build the coal port of Lavna in Murmansk. After it, after 2020, 18 million tons of coal will be transported, and the residents of Murmansk will die from coal dust in the air. Since 2019, half of the crab catch quotas in Russia will be distributed through electronic auctions. Industry participants suspect in the lobbying of such a decision of the owners of the Russian fishery company Gleb Frank and Maxim Vorobyov (the latter has already left her business). At the enterprises of the Urals, problems with the supply of foreign components began. The head of the Russian Federation instructed the government to work out another crazy infrastructure project. Its cost will be preliminary 540 billion rubles, which is twice the estimate of the Crimean bridge. The Russian Federation introduced reciprocal duties against American goods. True, these tariffs compensate for only $ 87.6 million out of $ 537.6 million in losses from US restrictions. Dmitry Medvedev instructed former vice-premier Dmitry Rogozin to deal with the finances of the state space concern. This will be followed by "optimization" and on Russian space, which is an obsolete collective farm with phenomenal amounts of theft, it will be possible to bravely put a cross. Transport workers complained to the government about price increases. Money for the rehabilitation of oligarchic banks and assistance to the victim of US sanctions, Viktor Vekselberg, is, and on old-age pensions (on average 2.5 times lower than in Poland) - no. Therefore, for Russian men, the retirement age will be increased from 60 to 65 years by 2028. For women, the retirement age will move from 55 to 63 years by 2034. What is the appointment of the former governor of Yamal to the Cabinet of Ministers. 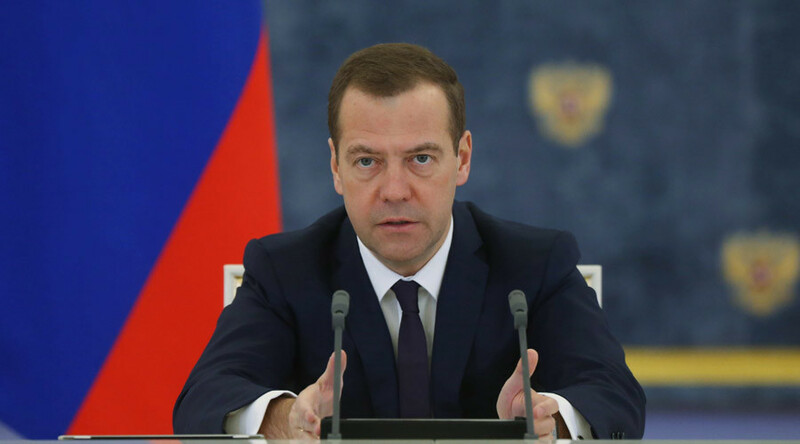 But already in a lower position of deputy head of the apparatus of the head of the government Dmitry Medvedev. Mikhail Abyzov will not join the new government, sources told RBC. Since 2012, he oversaw the work of the "open government".